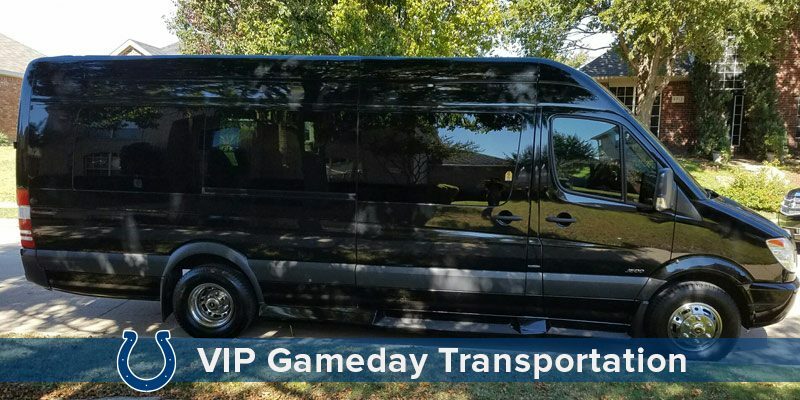 We pick your group up at your doorstep in our 14 passenger VIP Mercedes Benz Sprinter. 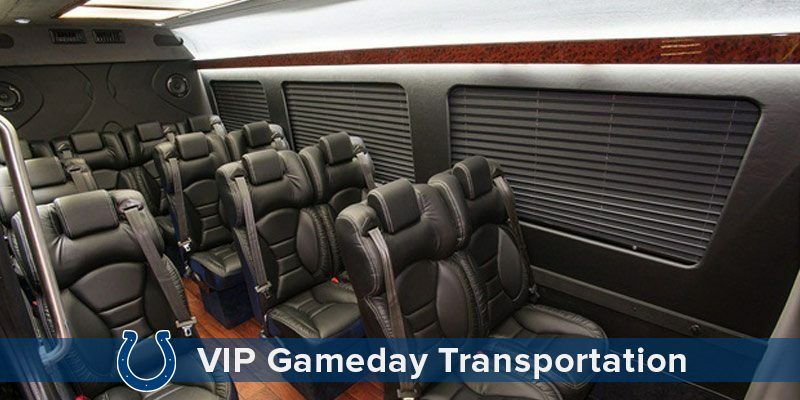 Your group is driven by our licensed chauffer who will drive your group to the Colts VIP Tailgate! Enjoy the Colts VIP Tailgate before the Colts game. When it is time to head to the stadium, we drop you off at the front door of Lucas Oil Stadium and wait for you outside during the game. After the Colts game our licensed chauffer who will drive your group back home safe and sound. 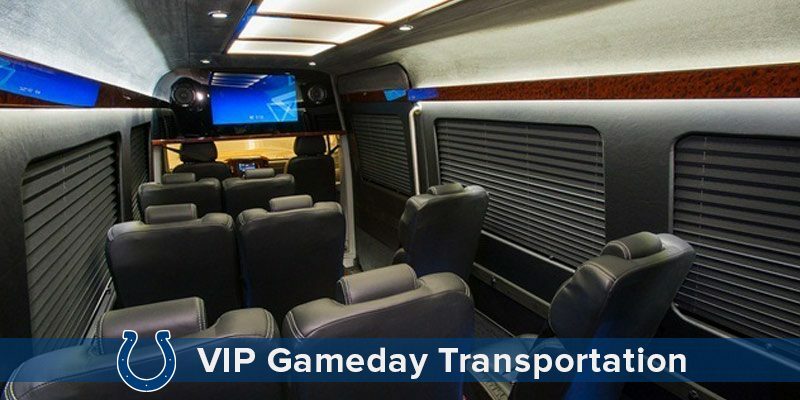 The VIP Mercedes Benz Sprinter is available for Colts games, Indy 500, Concerts, Kentucky Derby, Brickyard and Corporate Events.